As per now Jelly Bean 6.2.B.0.211 firmware will be landing only in certain locations only and if you have not got notification yet then you can update manually by visiting below link. Users are reporting that while using NFC on Jelly Bean 6.2.B.0.200 and 6.2.B.0.211 firmware nothing happens after “touch to beam” option. Well on reply to this, Sony Xperia Support Member “Johan” replied that a new NFC bug fixing update will be rolling out in the Week 28 of July i.e during the period 8 July 2013 to 14 July. 1080p full HD resolution video capture lags a lot, though 720p HD Video mode is working fine. Battery Drain and Heating is a serious issue. Battery is draining at 2x speed as compared to ICS for many users. Phone gets heats up to 45-48C in 15 minutes of continuous usage. Though official support claiming that battery stabilizes after a week but nothing like that happened. 2G Mobile Data connectivity issue. On 2G mode mobile data runs very slow, we are able to connect to internet but no able to download or surf anything. Error 927 pops up on Google Play disallowing us to download anything. Wi-Fi issues, people are not able to connect over Wi-Fi. Either the Wi-Fi don’t detect any router of if it does you are not able to connect over it. Though Wi-Fi issue resolved for us after doing factory data reset. 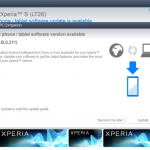 Well in case we want to tell you that Sony Xperia Support has looked to “2G Mobile Data connectivity issue” and it is hopefully fixed in upcoming updates as we can by seeing the response from official Sony Xperia Support member. Another minor bug is that, whenever battery is low to 14%, Xperia S, SL users on Jelly Bean 6.2.B.0.200 and 6.2.B.0.211 firmware gets a notification of “Switch to Stamina Mode for power management” but actually Xperia S and SL doesn’t have any Stamina Mode. So it’s a minor bug, warning should be switching on to “Extended battery Mode”. 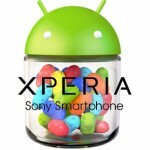 Well Sony Xperia Support made it clear that Xperia S and SL on Jelly Bean will not be supporting Stamina Mode ever confirmed. 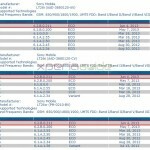 As per now many answers have been cleared by these statements by official Sony Xperia Support. Well we are now looking forward to 28 week of July for the upcoming update and seeing which bugs will be fixed or not. If you have updated to Jelly Bean 6.2.B.0.200 and 6.2.B.0.211 firmware please do let us know which bugs you are facing mentioning your region and phone in the comments, it will help us to identify the bugs and then they can be reported over to official support. What about battery drain issue ? it’s 3x speed for me..
thanks for this post … after upgrading into .211 , I have faced all the problems you mentioned , but the wifi issue still the same after full factory data reset ..
and i have updated to jelly bean .211 officially for my Xperia SL (lt26ii). its works better for me.but the issue is tat the video recording in 1080p lags so much.even while taking snaps, pics are coming out with purplish background…this can be fix by going to settings and select normal mode and then set white balance from WB Auto to Daylight mode.And about battery no issues found.2G, 3G working fine. Wrong white balance with flash in automatic mode . Photos has pink tint. m from bangladesh using xperia S 4.1.2 jelly bean with 6.2.b.0211 .. the 2g internet is worst thn ever in jelly bean ph is heating up like hell after 10 minutes of usage worst camera options ever it was far much better in ics no white balance option included in the update as promised by sony battery is darning very very fast even the ph is on idle and no applications r running on background minimum ram free 400mb but still it keeps on darning need a fix asap……. Hi guys. I’m from Czech Republic and my english isn’t very well. We have the same issues (2g, battery, 1080p video). But sometimes the volume button doesn’t work, the phone is slow, some acessories (e.g. PC mouse and keyboard) what work on ICS don’t work on JB and the speakers don’t work when the headphones are not connected and when if you connect und then disconnect it, speakers work fine. I don’t know what from these issues are fixed in .211, becase I don’t have the .211 software. Have anybody same issues? Thanks for answers. We payed for a phone, you took away functions from it, and now you don’t fix those issues. Please, do so. 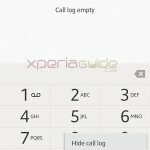 NFC Bug fixing Xperia S,SL Jelly Bean Update has been rolled out? 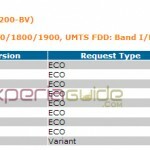 We guess Sony Xperia support trolled users, as no firmware has been certified yet. 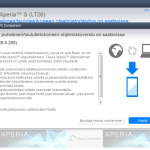 Whoever Johan from Xperia Support is, he must die. It’s a shame that people paid for a rather expensive device with a given feature set, then all of a sudden most of these functions stop working. I paid premium for a reason. Now even basic functions stopped working e.g. a phone is supposed to work on 2g networks I guess. My 8 years old feature phone can connect to 2g edge networks… worst of all, Sony does not want to replace it under warranty claiming they can’t reproduce the problems. 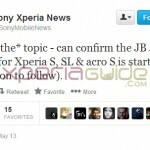 yes it is a shame, i loved my XSL before i dumped it…Sony was too disappointing with JB on it. 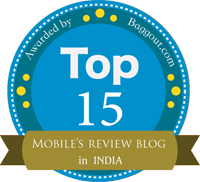 Thanks Anurag u have been really helpful.. Earlier in ICS i used to keep focus in INFINITY FOCUS MODE.. Try the normal focus mode for daily shoots and for special shoots try “touch” focus modes. 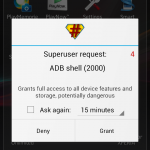 Yes you can roll back….try installing the apks from ICS. Do you have your apks, lets see whether they work or not…!!! The developers of sony should be sacked. Flipping useless. How can you certify and release f***** up firmware. To make it worse, sony knew it was messed up but still released it TWICE. Unbelievable. And where the hell is the third promised update of week 28?